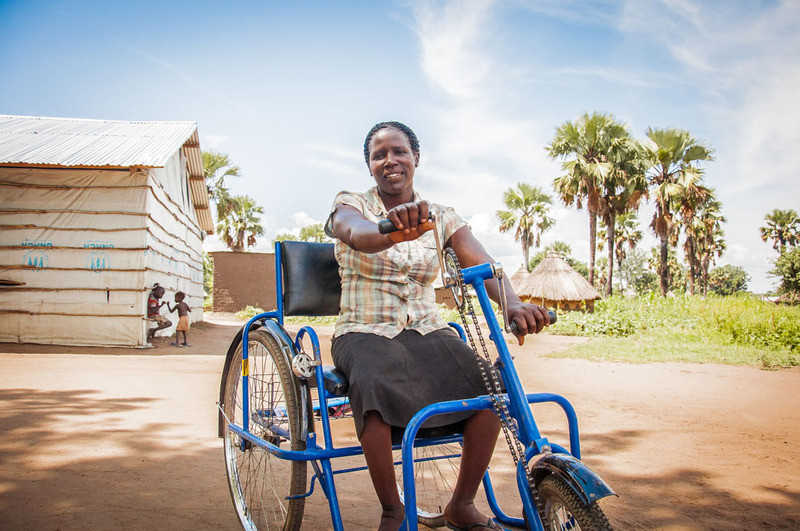 Learning a new skill has transformed the lives of people who felt hopeless in Kasese Town, in western Uganda. It’s hard to know what to do about the problem of poverty in the developing world. We who have been blessed with advantages in the UK can’t simply solve it by giving away our possessions to the world’s poor – that would not be sustainable. But what is sustainable is helping people to help themselves. That is what BMS is doing, through your gifts, in a small town in Uganda – and the impact we are seeing is wonderful. Young men and women, young mums and dads – people who had never had a chance in life and had no money, hope or motivation – have found ways to provide for themselves and their families. They have found a future. 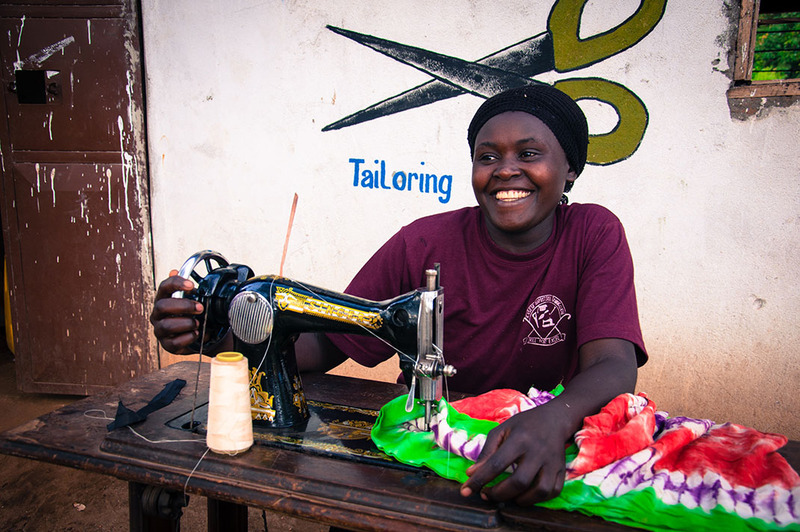 Meet Sarah, one of Kasese’s new tailors, in this short video. 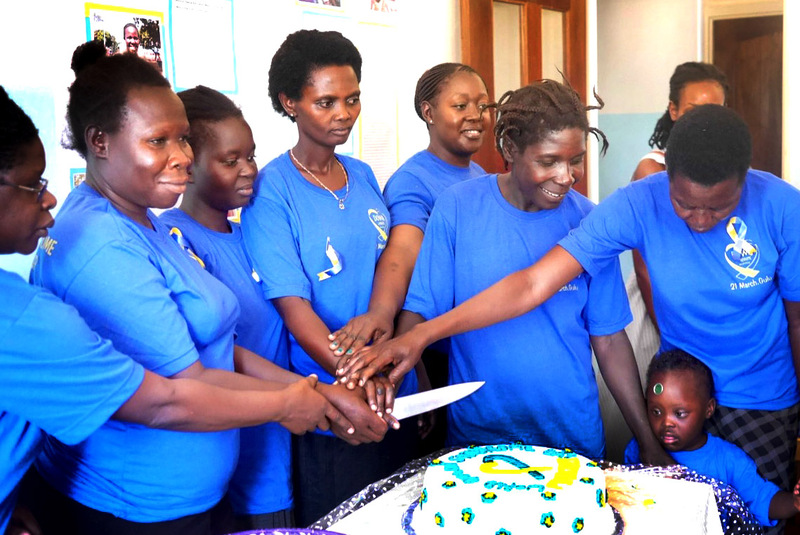 BMS workers set up the Kasese Baptist Skills Training Centre, in partnership with local churches and the Kasese Association of Baptist Churches’ Development Committee (KBAC-DC), to help people like Sarah break themselves out of poverty. 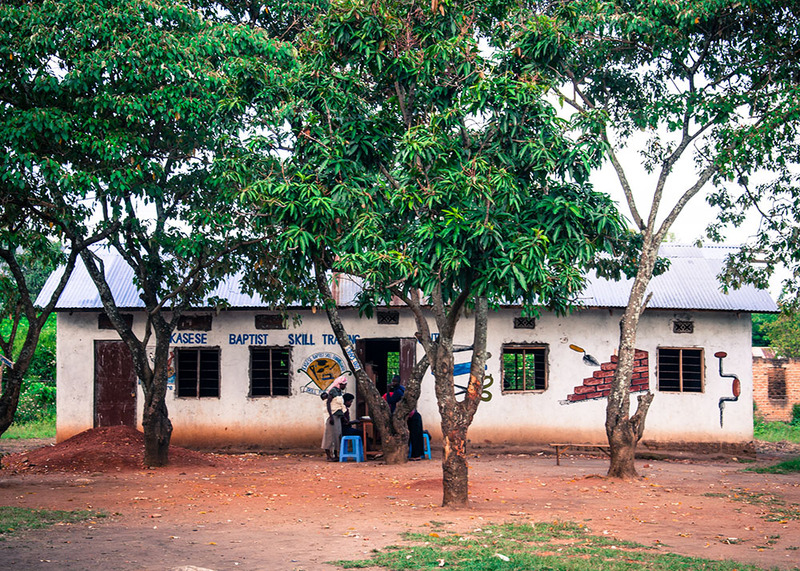 The skills centre is in one of the poorest areas of Kasese Town, where many people are unemployed and struggle to get by day-to-day. 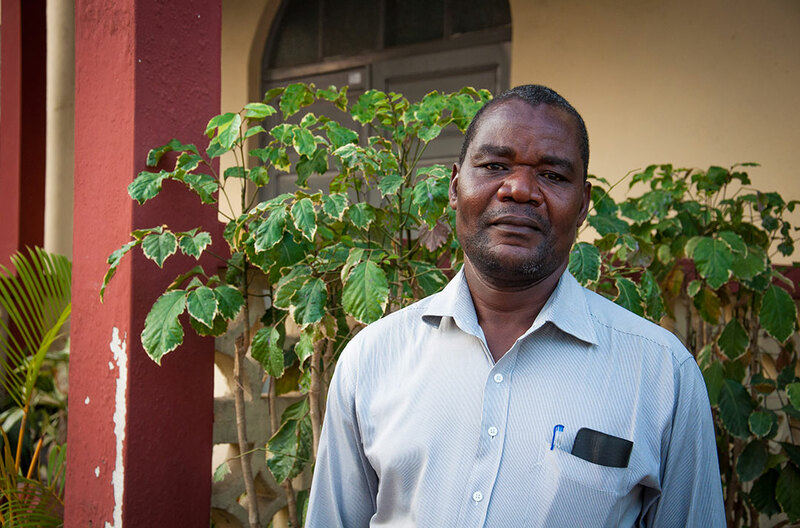 Before the centre opened in 2012, BMS workers and partners noticed a general sense of despair amongst young men in the area, who felt they had no way out of their poverty. Single mums were having to leave their young children alone to go and look for work. People had no options. No choice. No power. 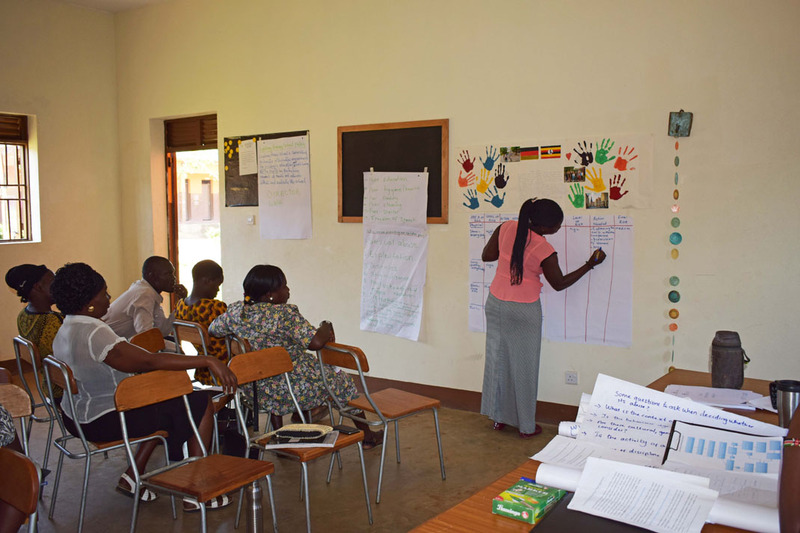 For the last five years, the BMS-supported skills centre has been offering training in skills such as tailoring, carpentry, mechanics and hairdressing, as well as advice on practical elements of running a business, such as budgeting. The centre also runs a day-care for preschool children, so that parents can come and learn a profitable skill, knowing their children are being safely cared for. Pastor Alfonse, who is head of KBAC-DC and helped to set up the centre, believes that this project is bringing people independence and hope. 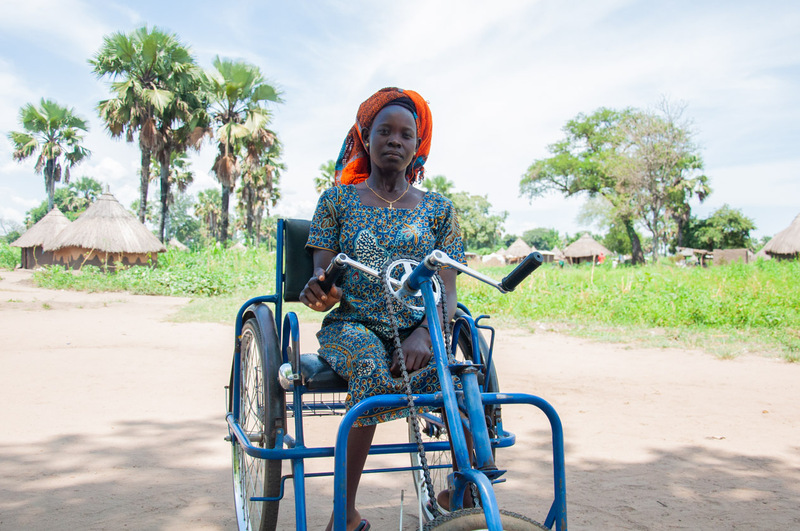 Kisupeho Zoneat is a 25-year-old mother of two from Kasese Town. She became a mum when she was just 17 years old and, until now, has never had the opportunity to learn a skill to help her provide for her struggling family. Learning to sew has given her ambition and a way to improve her life. Thanks to the BMS-supported training, Aziz, Kisupeho, Sarah and many, many more Ugandans have discovered that they have gifts and talents. They have been given the opportunity to pave their own futures and lift themselves out of poverty. 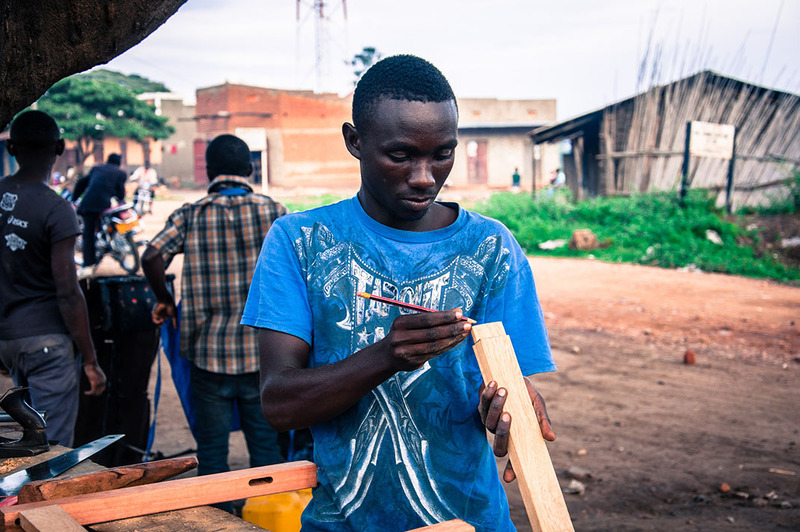 “Now I tell others to come and learn to have skills,” says Kisupeho. Having a skill really can change your life. And giving our money to help people help themselves can change the futures of so many. Thank you so much for supporting BMS and making life-transforming work like this possible.